Hi friends! I’m super excited to finally reveal a room that I’ve seriously been working on for years. I just couldn’t seem to get exactly what I wanted but after a lot of trial and error and finally deciding to bite the bullet and paint my bedroom furniture, I can finally say, I LOVE my bedroom! If you’ve been around her for a while, you may remember my master bedroom back in 2010. Has it really been 4 years?!? Wow! Anyway, we purchased our bedroom furniture right when we first got married 8 years ago and while I absolutely love the size, shape and quality of the furniture, I wasn’t in love with the dark finish anymore. We have a medium size master bedroom and with a king size bed, the dark furniture just kind of took over the room. I tried to lighten it up with bedding and lighter paint colors on the walls but I just couldn’t make myself love it anymore. After a lot of back and forth, I finally decide to paint it and I am over the moon happy that I did! 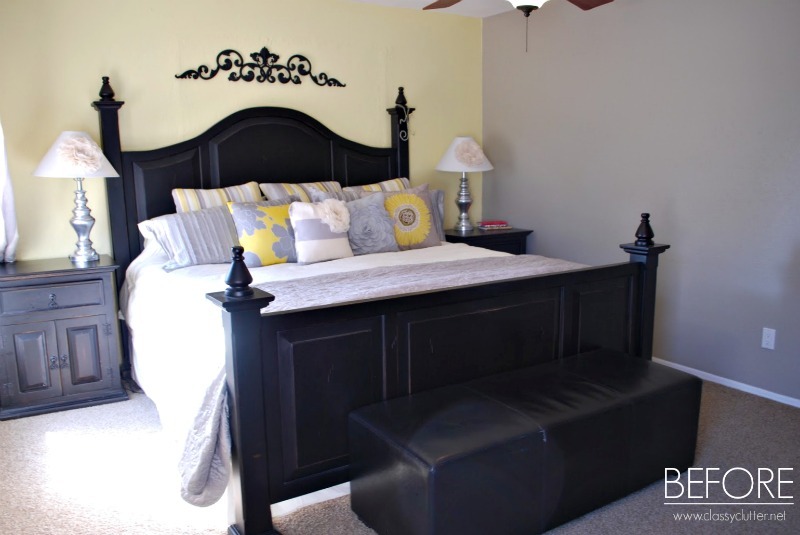 The paint color is Behr Swiss Coffee. 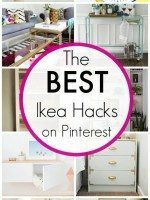 You can find more details on how I did the furniture here. I am in love with my new bedding. I love the texture and color of it. You can find it at Anthropologie. The pillows, lamps and throw are from HomeGoods. I had a local shop in Phoenix order the wallpaper for me. You can order some online here. 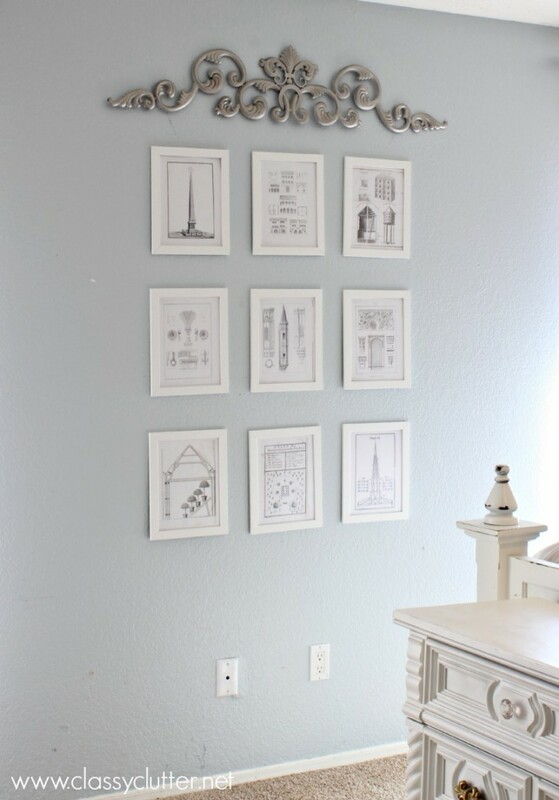 For this space in between my windows, I created a gallery wall of Ikea frames and printed some cute prints for them. The last little bit I want to talk about is this dreamy fan! 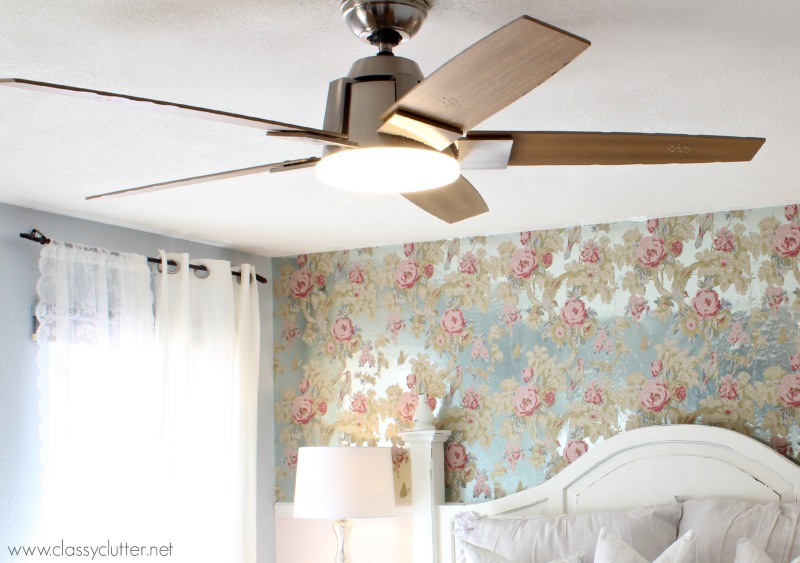 Now, ceiling fans aren’t typically the most exciting part of designing a room but in Arizona, you NEED a ceiling fan in most rooms! 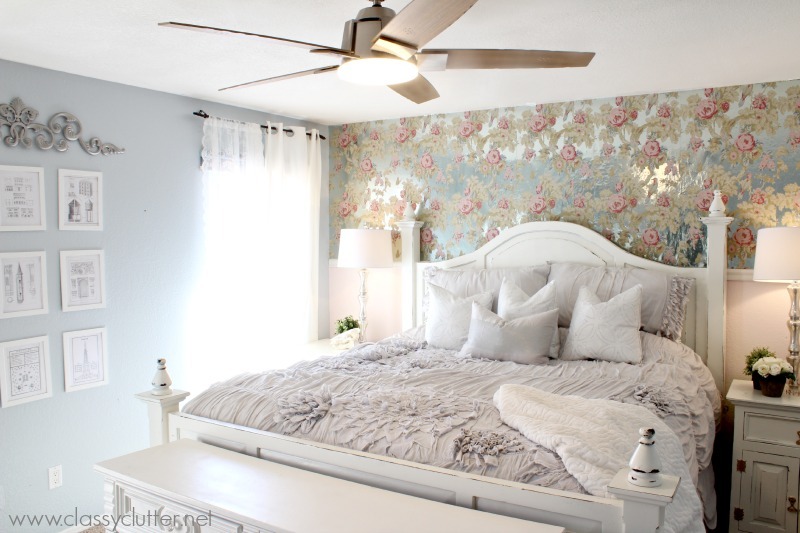 When Casablanca Fan Company contacted me to review some of their gorgeous fans, I knew THIS fan would be perfect in my bedroom makeover. You would seriously be miserable without them and/or your air conditioning bill would go through the roof! These amazing fans provide a ton of great air circulation and great light. The cool air circulation helps so you don’t have to run your air conditioning system as often. I love the sleek modern design and that my room makeover doesn’t have to have a typical eyesore of a builder grade ceiling fan. With Casablanca Fan Company you really don’t need to sacrifice style for functionality! 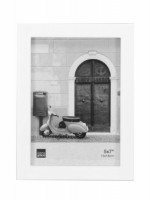 I am really pleased with their products and customer service. Casablanca Fan Company has a huge selection of stylish fans at great prices. Head over and check out their website! You can even follow Casablanca Fan Company on Facebook. I’m so excited to finally have my bedroom done and I absolutely love it! What do you think!? Disclosure: This post was sponsored by Casablanca Fan Company. All opinions are 100% my own. I mentioned in the post that a local shop in Phoenix ordered the wallpaper for me and unfortunately, I don’t have any info on it! So sorry! Turned out so great Savannah! Very pretty! Love that bed! All the best from Malaysia. 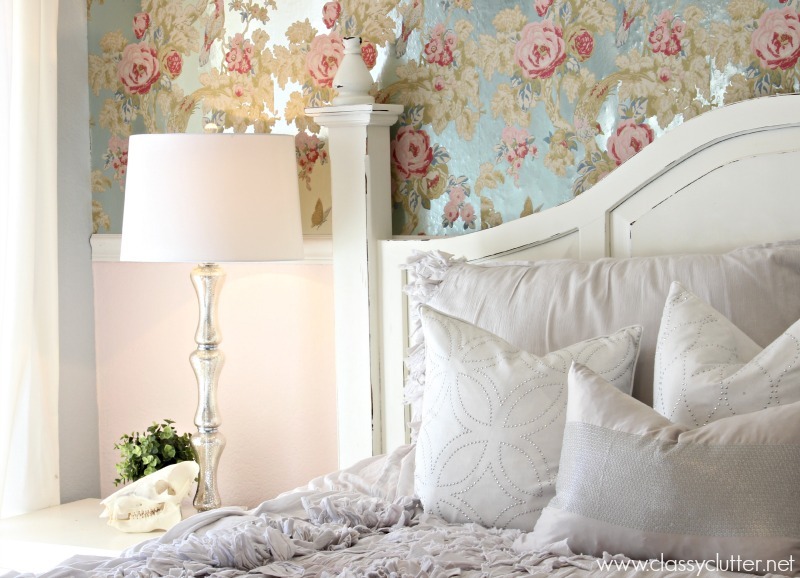 So beautiful – I can’t get enough of that flowered wall. Gorgeous! I am in love with this look! 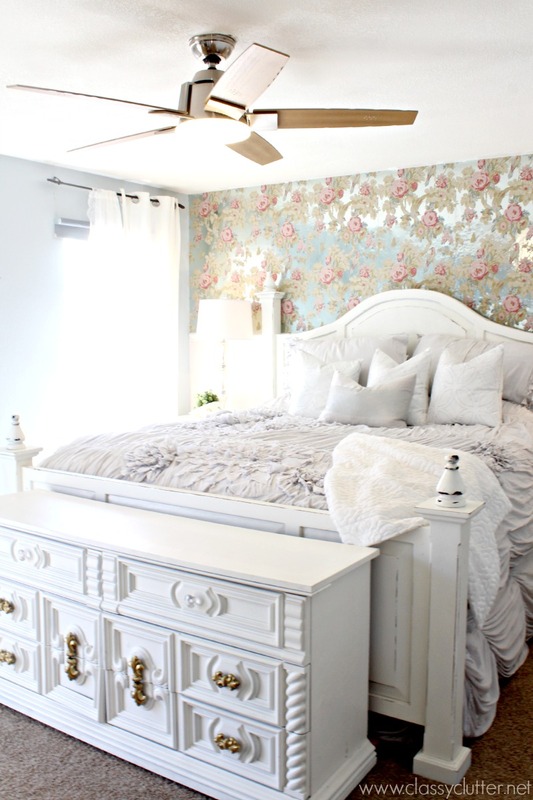 The bedding is so amazing and that wallpaper is to die for. Congrats on the makeover and enjoy it so much! I know right? 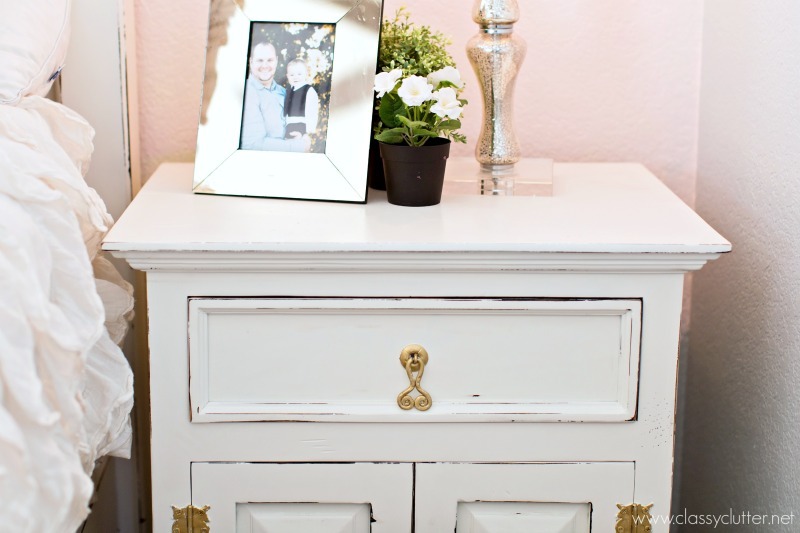 Shabby chic is amazing! 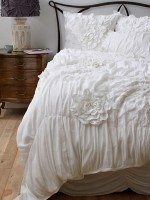 I have my eye on some of the designs here http://www.home-decorating-co.com/shabby-chic-bedding-simply.html and now I’ve got flora wallpaper on my mind, as well. Oh my goodness…I love everything you did, Savannah! The wallpaper is BREATH TAKING. I adore it!!!! What a beautiful room you have created. 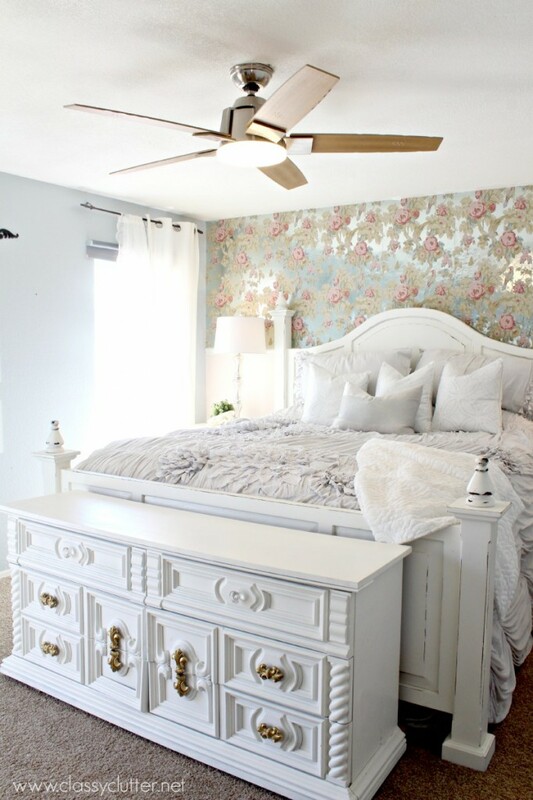 I love this so much, but I think the accent wall behind the bed is my favorite part! Can you tell me the company that you ordered your wallpaper through? I love it so much! 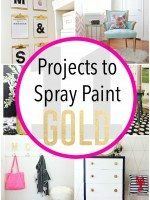 what is the paint color of the wall? Your room is Amazing!! 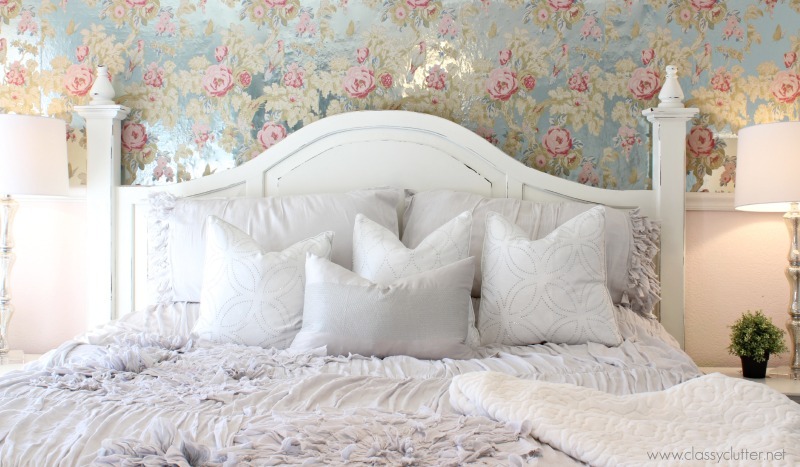 Love the wallpaper, it is Anna French Bird In The Bush (foiled), unfortunately they do not have distributors in Canada for me to order it. I’m you new fan! Just discovered your blog today, love it! Thanks for sharing your decor! 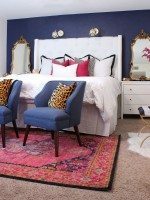 Your bedroom looks so wonderful! 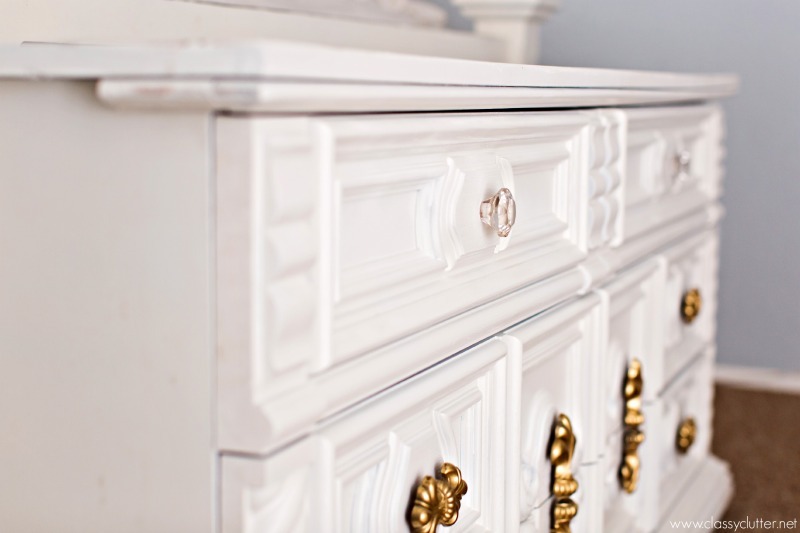 The white shabby chic looks so great, and I can’t get enough. 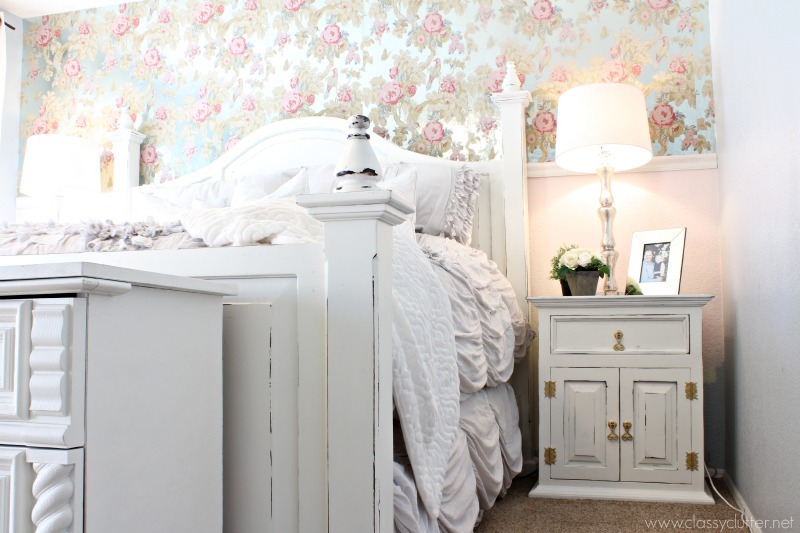 I would love to do something like this for my own bedroom. Maybe it’s time for me to take a trip to Home Goods.